Keeping Your Family Healthy, Wealthy and Wise! The term "sandwich generation" refers to people who are raising their own children while simultaneously trying to care for aging parents. If you are “sandwiched” between these two roles, the stress can seem overwhelming. Here are some tips for managing the challenge. 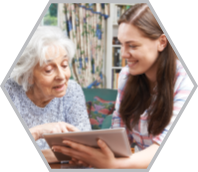 "The Talk" involves speaking with your parents about their wishes regarding long-term care and who will be able to make decisions on their behalf in the event of incapacity. By addressing these issues early and openly, you can then take steps to create legal documents to ensure your parents' care will reflect their wishes (more about these documents later). Be sure to include your siblings and other members of your extended family in these conversations so that everyone is on the same page. This will help eliminate disagreements, which can quickly turn ugly, about what mom and dad would have wanted. Long-term care is expensive. While costs vary based upon where you live and the level of care needed, according to Genworth Financial the average cost for a private room in a nursing home in Michigan is over $9,100 per month. A one-bedroom unit in an assisted living facility was over $3,700 per month. Costs are higher now and are expected to rise dramatically in the years to come. Unfortunately, Medicare will only cover skilled nursing care in a nursing home for a maximum of 100 days, and even then co-pays of more than $160 per day kick in after the first 20 days. No wonder many families exhaust their life savings within two years of a family member entering a nursing home. The good news is that Medicaid will pay for long-term nursing home care. In fact, with proper planning (which is often called Medicaid Planning), it is possible to protect your parents' assets while at the same time ensuring they receive the care they need. The sooner you look into this option, the better. When exploring your parents' eligibility for Medicaid, it is important to take into account rules that may disqualify them from coverage. Many states have a "look back" policy that could result in penalty periods or disqualification, and missing this important piece of information could be financially devastating. For adult children raising kids of their own, assuming the role of caregiver for one's parents can be extraordinarily difficult without the help of proper legal documents. We have discussed the importance of The Talk. The information gleaned from this discussion provides a foundation for the creation of effective legal documents that express and protect your parents' wishes. 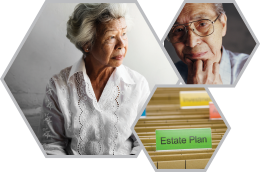 These documents include a Will, a Trust, a Durable Financial Power of Attorney, and a Medical Power of Attorney. Let's take a quick look at these documents. A Will helps guide a person's estate through the probate process after they have died. In Michigan, Wills are administered by the probate court. When you create a Will you name a Personal Representative, in some states this person is called the Executor. After you have died, your Personal Representative takes your Will to the Probate Court to get the judge's permission to carry out your wishes. A Trust is fundamentally different from a Will and, if used properly, allows a person to avoid the Probate Process entirely. 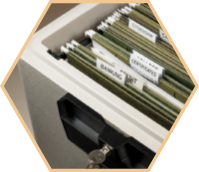 There are many types of Trusts and it is important to have the correct Trust for your specific situation. However, creating the Trust is only half the job, the second half is Funding the Trust. The vast majority of Trusts are not properly funded. If a Trust is not funded properly, it cannot work and your estate will wind up going through Probate. A Durable Financial Power of Attorney allows an individual to name someone (the Agent) to act on his or her behalf in the event of incapacity. The Agent can make certain decisions regarding property as well as certain legal, financial, and personal matters. However, not all Powers of Attorney are the same and with changing laws and bank policies, it is critical to make sure your Power of Attorney is up to date. 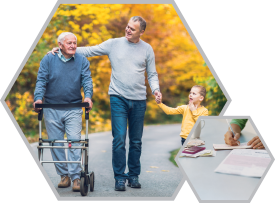 A Medical Power of Attorney, including a HIPPA Release, names a Patient Advocate to manage your medical care decisions as well as end of life decisions. The HIPPA language also allows the release of your medical information to your designated family members. 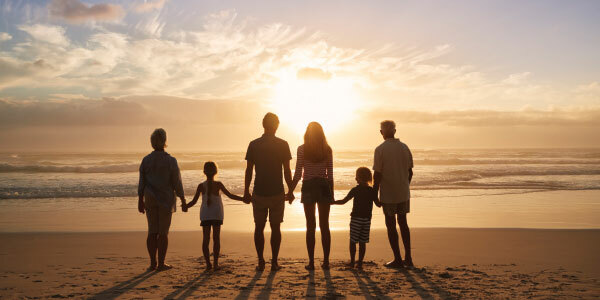 Effective estate planning can include many other strategies and tools to accomplish a wide range of goals, but the above documents are absolutely essential to carrying out your parents' wishes and fostering harmony among extended family members. One advantage of being in the sandwich generation is that you have help at hand--your kids. Maybe your daughter has a driver's license. If so, she can take her grandparent to a doctor's appointment from time to time. Or you can take your son to visit with his grandparents at the nursing home or assisted living facility. Even young children can help out. If your parents live with you, one of your young children can bring them a snack or show them how to use the television. Perhaps best of all, by spending time with their grandparents your children will likely have less anxiety about what your parents are going through.